Archdiocese of Washington’s annual Youth Rally and Mass for Life, held Jan. 18 at the Capital One Arena in Washington. The estimated crowd of 18,000 at the Mass came from the Washington area and from across the country and were joined by young adults from Sydney on their way to World Youth Day in Panama. 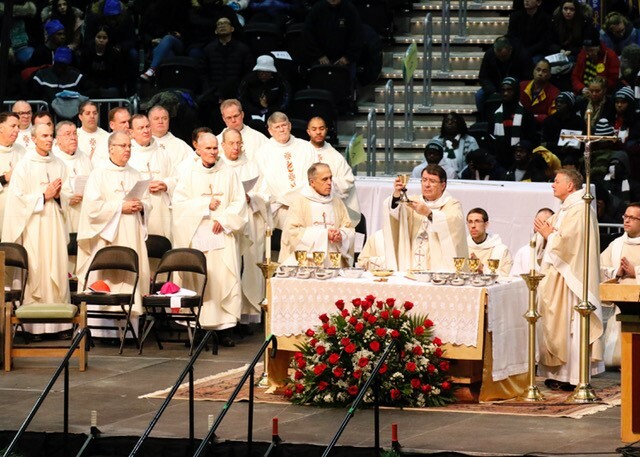 The main celebrant at the Mass, Archbishop Christophe Pierre, the apostolic nuncio to the United States, entered and left the arena smiling and waving a blessing to the spirited crowd of teens and young adults.